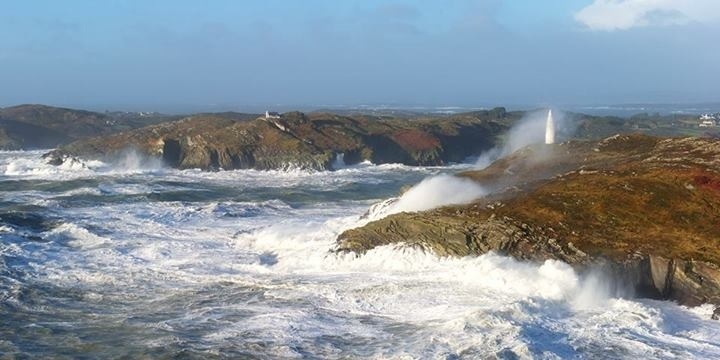 Whilst most of the country was taking refuge from storm force winds today the crew of Baltimore Lifeboat were called upon to assist in a medical evacuation from Sherkin Island. The call for assistance came at 12:23 today when an elderly adult male suffered a badly broken leg. 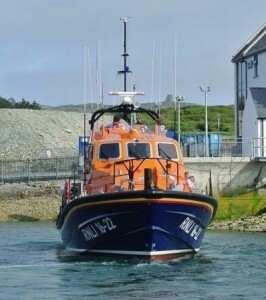 The all weather lifeboat is designed for severe weather conditions and safely made its way across Baltimore harbour to the Island but considerable seamanship skills were required in the transfer of the stretchered casualty as a consequence of the large draw at Sherkin Pier. Prior to transfer the man had received medical attention and been strapped to a stretcher immobilising the injured leg. Coxswain Kieran Cotter brought the injured man ashore at the new RNLI compound at Bull Point in Baltimore. The man was transferred to an ambulance for further medical attention. 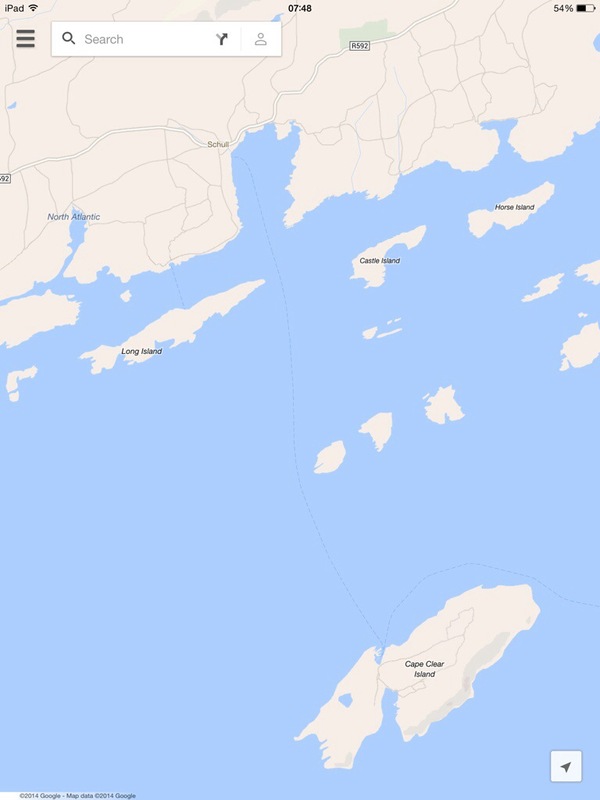 A 20 metre steel fishing vessel with two people on board called for assistance at 18:05 this evening whilst making passage from Castletownbere to Kinsale. 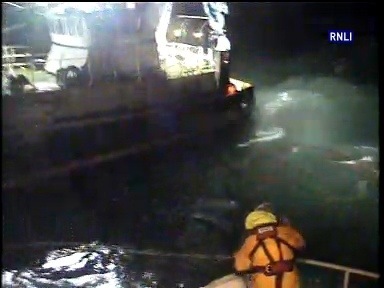 The vessel was flooding due to problems with sea valves. 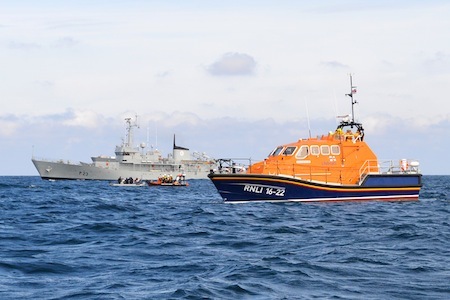 The Baltimore RNLI all weather lifeboat responded within minutes proceeding to rendezvous with the stricken vessel 2 miles south of Brow Head near Crookhaven, Co Cork. 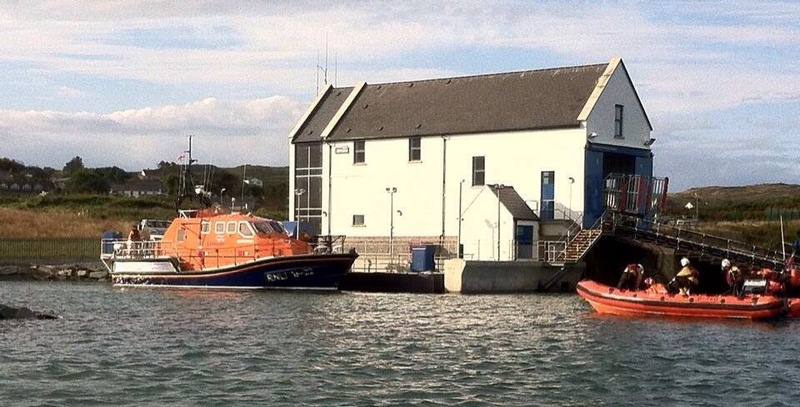 The volunteer RNLI crew attempted to secure the safety of the Kinsale based fishing vessel by putting a salvage pump aboard to drain seawater from her bilges. 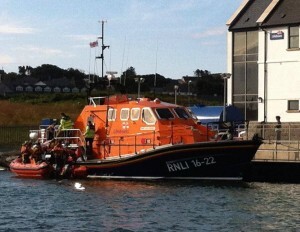 The lifeboat then took her in tow while the crew of the fishing boat worked on her engines. The engines were restarted and the vessel began to make her own way for a time, but after the engines failed again the tow had to be restablished and the lifeboat continued to tow the fishing boat to Baltimore Harbour. 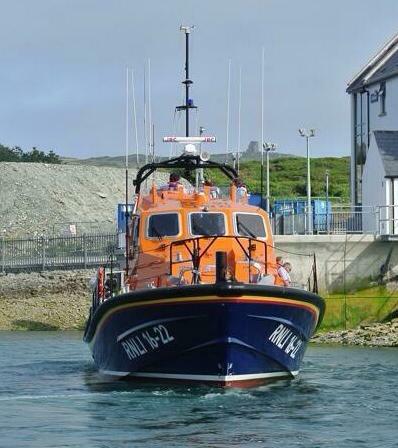 Baltimore RNLI Coxswain Kieran Cotter said : ’It was fortunate that it was a fine night. 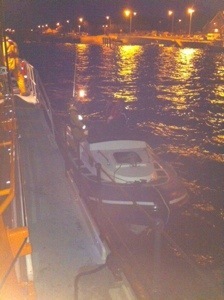 We were able to transfer the salvage pump and establish the tow without a hitch’.